Do not be overawed by the terminology used with Gate Ironwork. These are the "hinges" for your field gates. 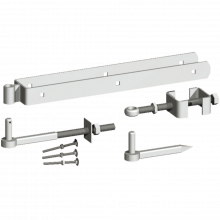 The band attaches to your gate - this band is then attached to the hook - which is welded to a plate - which you attach to your wall or gate post by the heavy duty screws supplied. Our galvanised hook on plates sets include all the screws, nuts, bolts & washers you need to fix a hook on plate to your gate post or wall. The hooks to bolt/drive are for use only with wooden gate posts. The 450mm bands are ideal for gates up to 1830mm - 6 feet wide. 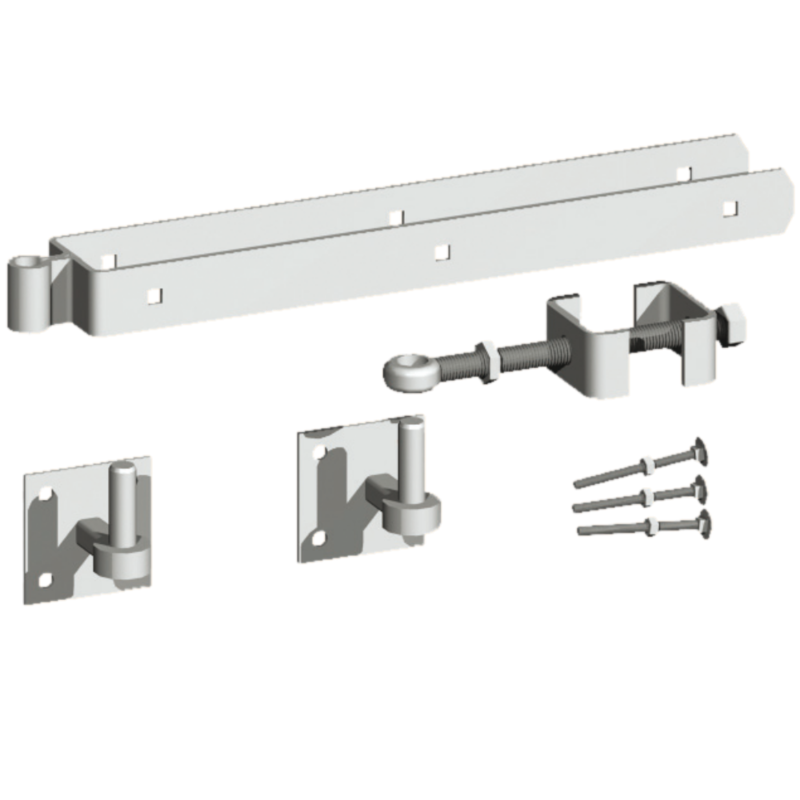 We recommend using the 600mm sets for larger gates. You will receive one set of bands and one set of hooks to hang the bands. 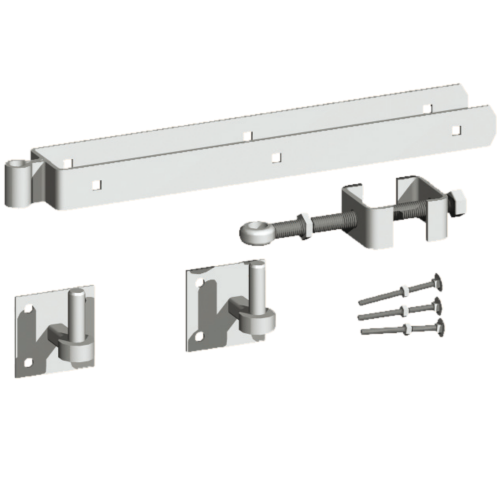 Take a look at our field gate fastener sets for a large choice of fasteners.